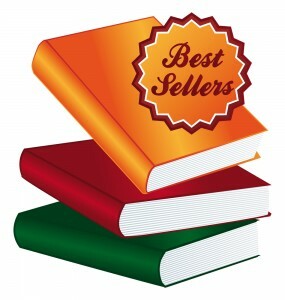 When is a bestseller not a bestseller? So, what does it take to be a bestselling writer? In fact, what does it take for a book to be a bestseller? Have you ever gazed on the New York Times bestseller list, or the Amazon list of today’s best sellers and wondered how these books got there? I know I have, and even more to the point, recently I’ve often wondered what it really means when an author’s LinkedIn or Twitter profile says “bestselling author of…” and I’ve never heard of them. The truth is that whatever you may have thought through the years, whatever you infer from those “bestselling” monikers, all bets are off. The landscape has changed. It ain’t what it used to be. And that’s important – for readers. And for writers who actually care. So I did some research (you’re welcome). Let’s begin by going back to definitions – dictionary and other. The Oxford English Dictionary, arguably one of the premier arbiters of word meanings in our language, says that a bestseller is “[a] book or other product that sells in very large numbers.” Okay, this definition implies that there ought to be some kind of quantitative measure of what it takes to be a bestseller, although falling short of actually telling us what that number might be. However, the phrase “very large numbers” does have some resonance, n’est ce pas? Back as far as 1955 a bestseller was defined as “a book for which demand, within a short time of that book’s initial publication, vastly exceeds what is then considered to be big sales.” Again the concepts both of high demand and bigger than “big” sales. It seems, then, that a real bestseller is a popular book in high demand with high sales. As reasonably intelligent readers (or writers) we can conclude that a book isn’t a bestseller unless it sells lots and lots of copies. So how is it possible that so many of these online self-published authors suggest that they are bestselling authors? Remember what I said earlier? The landscape has shifted. Dramatically. In the past few years, it’s become clear that there are ways of manipulating online book sales figures to artificially create a bestseller, thereby giving the author marketing cred, even if it is a bit disingenuous. However, don’t be fooled into thinking that this is just a recent, eBook phenomenon. Back in 1995, two ambitious consultants wrote a book titled The Discipline of Market Leaders which was published by Addison-Wesley. Rather than let it languish in a warehouse or gather dust on bookstore shelves only to be returned if unsold (the dreaded ‘returns’ of the book selling business – don’t get me started), the authors decided to figure out a way to get that book on the New York Times bestseller list so that they could use this as a springboard to marketing themselves as consultants, and thereby make more money. As business experts, they were willing to make a financial investment and take the risk that it would have a big payout in the end. In summary (you can read the whole story in the online archive of Business Week linked in my footnotes below) they spent $250,000 buying 10,000 copies of their own $25 book from small and large bookstores throughout the US resulting in it climbing to #8 on the NYT bestseller list where it stayed for 15 weeks and peaked at #1 on the BusinessWeek list. The results of this manipulation were spectacular for their consulting business: speaking engagements, new clients, future book deals. Illegal? No. Unethical? Clearly. Readers draw the conclusion that a book on the top of the bestseller list has made it there on its own merits. When it didn’t, those who colluded to get it there are effectively lying. That was then. This is now. And the opportunities for this kind of manipulation are even more available. In 2013 Publisher’s Weekly tried to get bestseller numbers from Amazon, but were unsuccessful, so they decided to try to figure it out by looking at the status of a couple of books over the course of two weeks. They began with the hypothesis that was widely held that a book would have to sell 300 copies a day to reach the top five on Amazon’s list and found that this wasn’t far off, but that it varies considerably depending on the time of year. For example, in holiday sales times, the numbers would have to be higher. 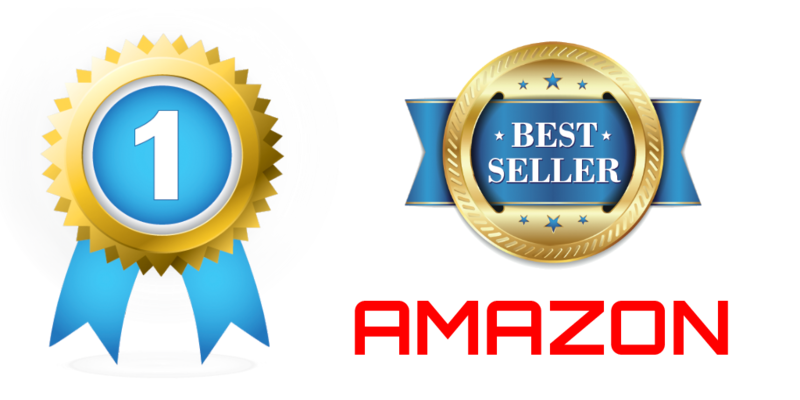 Nevertheless, if you can get approach this level of sales for a day or two, whatever ranking you achieve on the bestsellers list sticks with the book based on the Amazon algorithm. And there you have a “bestseller” that doesn’t even come close to the definitions above, nor the connotation associated with it by potential readers. So, just about anyone can use the term bestselling author based on just about any criteria he or she decides applies. Hmm. So, when is a best seller not a best seller? A few years ago, my husband and I wrote a piece on our travel blog The Discerning Travelers about when a perk (from an airline, a hotel etc. via loyalty programs) is not a perk. We concluded that a perk is not a perk when everyone has it (for our full explanation read The ups and downs of travel loyalty programs: When is a perk not a perk?). It loses its real meaning. I submit to you that when everyone is a so-called bestselling author, no one is. And that is sad. I’d love to be a bestselling author, but I’m more interested in being a writer. When the term bestseller now applies to everyone and his or her dog, I don’t really care about that anymore. How about you? Steinberg, S. H. 1955. Five Hundred Years of Printing. as quoted in Wikipedia. Previous Self-publishing versus vanity publishing: What’s the difference anyway? I was just suggesting to ASJA that they write an article on this very thing. First of all, I have a book that has sold more than 500,000 copies (in 15 languages) but it has done so since 1998. So technically it’s not a bestseller–even though it has been the number one book on my publisher’s top books sold. Who cares how long it takes for the books to sell? I loathe the new way of cheating on Amazon: just about anyone can do it. You pick a small category on Amazon, like “nonfiction–building boats.” then you put together a whole bunch of enticements (network with other authors) to get everyone to buy your book on the same day. Your book on boat building is now number 1 in that category! now you’re a best selling author. I know a book consultant who did that same stunt and teaches it to others. She is also a “best selling author.” I asked her how many copies she had sold. 300. And then, she didn’t even write the book! She edited a bunch of essays together. Someone I know asked me to participate in this., I refused. The thing that really burns me is that I am a best selling author who did it the only fashioned way. I SOLD A WHOLE BUNCH ODF COPIES. Reading how people fake their list position makes me feel like a soldier with a purple heart who wears it because he found it in a pawnshop. Randi, thanks for weighing in on this and congratulations for the sales! Bestseller by definition or not, you have accomplished something that most writers would truly love to be able to do. It speaks so well of your work. I think that if more of the reading public knew just how much they were being duped by these disingenuous marketing strategies, they would be very surprised — and would avoid wasting money on sub-standard “bestsellers” (I count myself among this group of readers.) Your story about the book consultant rings so true with me: they are all over the LinkedIn forms and Twitter. We need to keep trying to publicize this.